Worries, doubts, and superstitious beliefs are common in everyday life. However, when they become so excessive such as hours of hand washing or driving around and around the block to check that an accident didn't occur then a diagnosis of OCD is made. In OCD, the brain gets stuck on a particular thought or urge and just can't let go. OCD is a medical brain disorder that causes problems in information processing between the front part of the brain (the orbital cortex) and deeper structures (the basal ganglia). Before the arrival of modern medications and treatment , OCD was generally thought to be untreatable. Most people with OCD continued to suffer, despite years of ineffective psychotherapy. Today,most people with OCD achieve meaningful and long-term symptom relief with comprehensive treatment . 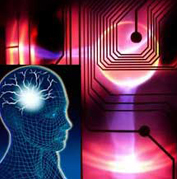 Surgical Institutes in Canada , USA & Europe focussing on recent advances in cutting edge Neurological Sciences . 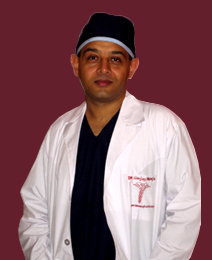 Dr.Mongia specializes in Deep Brain Stimulation for Parkinson’s disease, Epilepsy Surgery , Vagal nerve Stimulation for Depression , Surgery for Obsessive Compulsive Disorder & Gamma Knife Surgery (Non Invasive Neuro Surgical Technique ) for the management of Brain tumors , Vascular disorders & Functional disorders .